How much is Palmer Luckey Worth? 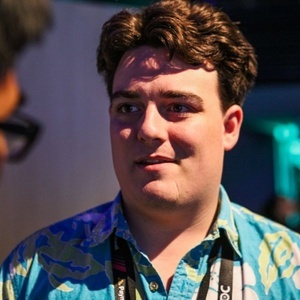 Palmer Luckey net worth: Palmer Luckey is an American businessman and entrepreneur who has a net worth of $400 million. 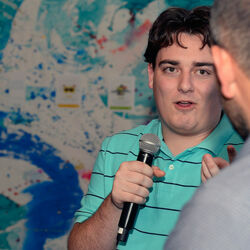 Palmer Luckey was born in Long Beach, California in September 1992. He is best known for being the founder of Oculus VR and the inventor of the Oculus Rift which is a virtual reality head mounted display. He was a writer and online editor for the California State University, Long Beach newspaper the Daily 49er. Luckey experimented with high voltage electronics as a teenager and built a computer that cost tens of thousands of dollars with six monitors. He built up a collection of more than 50 different head mounted displays and funded it by fixing and re-selling damaged iPhones. At 18 he created the first prototype CR1. His 6th generation was named the Rift and he raised money via Kickstarter. 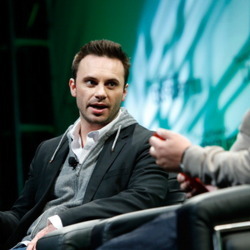 In 2012 he launched a Kickstarter campaign that eventually raised $2.4 million, 974% of the original target. In 2014 Oculus VR was acquired by Facebook for $2 billion. In 2014 he won the Smithsonian magazine's American Ingenuity Award in the Youth category. Facebook lawsuit: In 2016, Palmer donated $10,000 to an anti-Hillary Clinton group. This donation made him extremely unpopular within Facebook and eventually led to his early dismissal from the company. Palmer was upset at his ouster and hired an employment lawyer who argued that what Facebook had done was illegal. His lawyer was able to successfully negotiate a $100 million payout from Facebook which represented the stock awards he would have earned through July 2019. In total, Palmer earned $600 million in cash and stock during his time at Facebook.